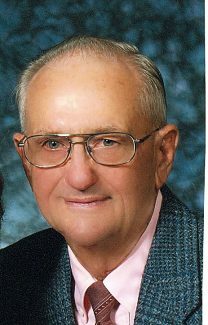 The Fence Post obituary: Martin Peter Smits Jr.
Martin Peter Smits Jr., 82, of Wiggins passed away on July 21, 2017, at Seven Lakes Memory Care Facility in Loveland, Colo., after courageously enduring a long battle with dementia. Martin was the eldest of five children born to Martin Sr. and Cecelia Smits. He was born at home on June 1, 1935, in LaSalle, Colo. Martin Jr. was the first generation of the Smits family born in the United States. He graduated from Gilcrest High School in 1953 and furthered his education at Colorado State University in Fort Collins. On May 1, 1956, he married JoAnn Weigle at St. Peter's Catholic Church in Greeley, Colo. Mart and Jo (as they were often referred to by family) were married for 61 years and blessed with six children. After attending CSU, he realized his calling was farming. Martin began farming with his father in Gilcrest, Colo., and in 1964, together with his father and siblings, Smits Farms, Inc. was created. In 1966, Martin and JoAnn's new house on the Wiggins farm was completed and the family moved in. Loving the rural atmosphere, the good friends they had made throughout the years and the history the family had built there, Martin and JoAnn built a house "in town" and moved into Wiggins in 2003. Martin was a member of the Knights of Columbus and was an active parishioner at Our Lady of Lourdes Catholic Church. He was instrumental in the planning, design, and building of the current church, which was built in 1974. Martin instilled his love of nature, respect for the land, appreciation for God's gifts, and his love of Polka in his children, as these traits are very much alive in each one of them. He is survived by his wife, JoAnn of Wiggins; his sons Martin III of Dallas, Texas; Greg (Charity) and family Carly (Roger) Brown, Willow, Megan and Molly of Wiggins; Chris (Lori) and family Kendra and Kelsi of Wiggins; Tim (Angie) and family Morgan and Ty of Wiggins; Tom (Katie) and family Dane, Joanna, Sebastian and Oliver of Jackson, Wyo. ; his daughter, Sandy Ewertz (Wayne) and family Kyle and Tanner of Wiggins; his brothers, Dave (Judy) of Fort Morgan, Colo; Leonard (Karen) of Platteville, Colo; Bill (Chere') of Winterhaven, Fla.; and his sister, Ann Dingeman (Tom) of Greeley. He was preceded in death by his parents, Martin Sr. and Cecelia Smits, and recently by granddaughter Georgia Smits. Mass of Christian Burial was held July 25, 2017, at Our Lady of Lourdes Catholic Church in Wiggins. Inurnment was also July 25 at Mizpah Cemetery, Platteville. The Heer Mortuary was entrusted with the funeral arrangements.